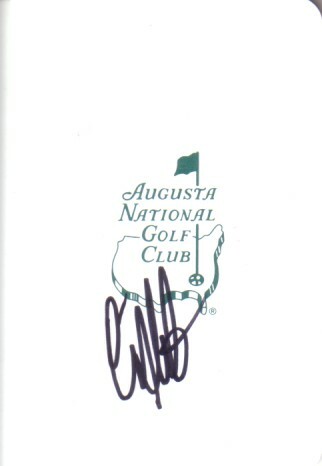 Augusta National Golf Club (home of The Masters) scorecard autographed by 1982 winner Craig Stadler. Obtained in person at Southern California Champions Tour event. With certificate of authenticity from AutographsForSale.com. ONLY 3 LEFT.